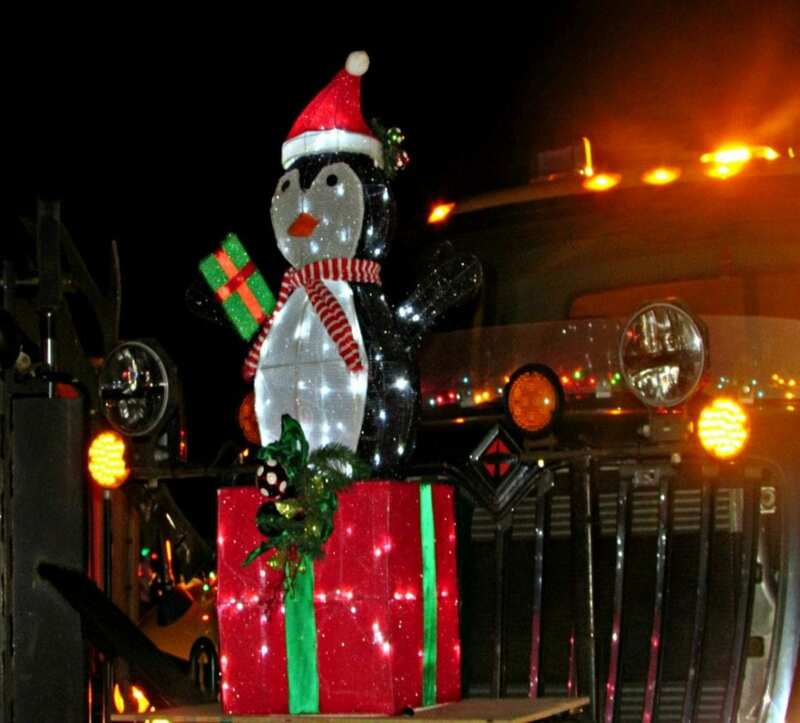 The streets in Historic Chatham Business District (HCBD) was lined with families, friends and new friends as they waited in anticipation for the arrival of Santa in the 33rd Annual Parade of Lights. They were not disappointed. 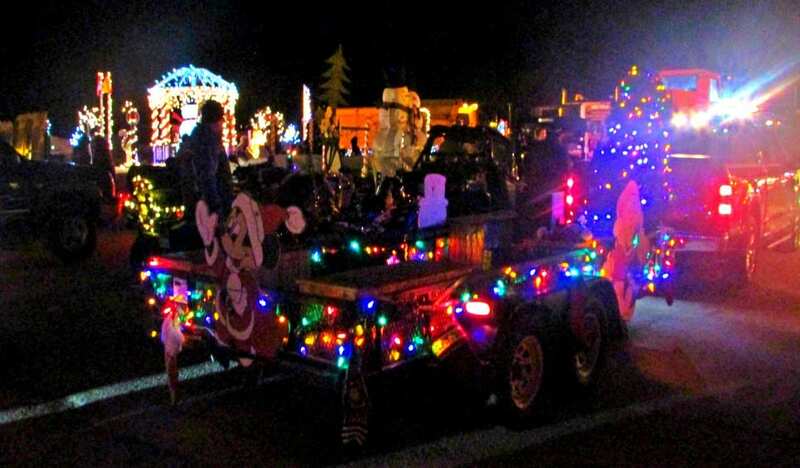 The parade started forming up around 5:30 with judging starting at 6:00 sharp, Judges Paddy Quinn, from 95.9 Sun FM, Councillor Chad Duplessie and assisting was Edie Duplessie. The entries were beyond expectations, with the lights,music and the participation from the youth and their enthusiasm for the Holiday season. The parade left James M Hill High School parking lot at 6:30 pm. Miramichi Police Force, Sgt. R. Bruce coordinated the traffic control and flow of the parade to ensure safety of everyone attending and participating. The Miramichi Police Force was assisted by the NBCC Police Foundation students. The students gained some valuable on the job training, interacting with the public and traffic control. Public Works also ensured the safety of the public by widening some road, sanding the sidewalk and roads were needed. Everyone’s goal was safety. In addition, the Historic Chatham Business District with the local media did a stronger awareness of the policy of no throwing candy from a moving vehicle. The organizing committee would like to thank the participates in abiding to the policy. The parade would proceed to Downtown where the crowds were deep and full of excitement. Music on the front street was provided by O’Donaghue’s Irish Pub. John O’Sheafrom 99.3 The River was announcing the entries and the parade winners. Trophies were handed out by Anne Bracken, HCBD board member. The spectators who waited patiently were not disappointed when Mrs. Claus and Santa arrived in a traditional horse drawn wagon with arching white lights and decoration in red and green. Santa favorite colours. Santa was overwhelmed with the attendance at the parade and enjoyed seeing the children of the Miramichi and surrounding area. ← How An Angel Changed My Life by C.P.